Our community is super well-informed about video games, so it should be no surprise that we wanted to know what they thought the best game of 2015 was. After all, we had already chosen our winner, but that doesn't mean they'd agree. Here's what they chose, and here's the thread discussing it. The Witcher 3: Wild Hunt has been the consensus Game of the Year not only among our staff, but among our readers as well. That's no mean feat, but it's even more impressive when you consider that the game was released on May 19, 2015. Rarely do games released early in the year hold the interest of so many when it comes time for end-of-year voting. How did The Witcher 3 pull it off? Here's what our community had to say. I was so un-hyped for this game that it sat on my shelf for four months before I started playing it. About 100 hours in, and after a lot of internal "are you sure?" discussions, I concluded that Witcher 3 is my favorite game of all time. A game I knew nothing about, a series I never played before (and heard wasn't very good), unfamiliar lore, and characters who were already well-established? None of that mattered. 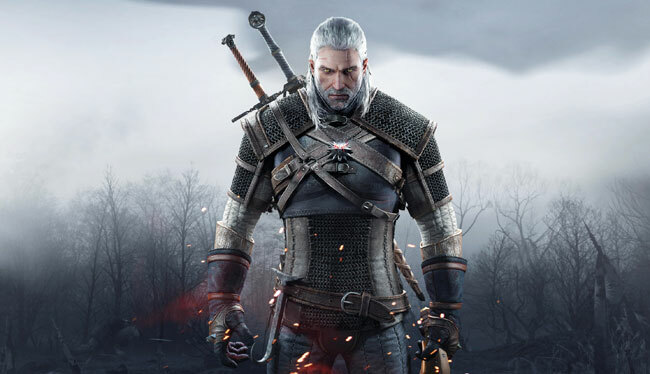 Witcher 3 blew my mind even more than it blew away my low expectations. I'll go for Witcher 3, besides being overall an incredible open world game, the story, characters, lore and those kinds of details that fleshes out the world are amazing and staggering. Witcher 3 was an open world game that's pretty much raised the bar for all the ones that will follow. It was also just fun to play and gave me a pretty satisfying story even though it was my first experience with the Witcher. Witcher 3 is my personal vote. Being the only game of this year to absolutely exceed all my expectations and set a whole new standard for open-world RPG's, I can't help but appreciate CD Projekt Red's ambition and their ability to pull it off. Witcher 3, by far. Fun game play, an engaging story, massive amount of content, a world that actually feels interactive, fully realized characters... just loved it. Witcher 3 is the better of the two (the other being Fallout 4) on technical aspects alone before we even get into story or overall quality of the content, in which Witcher 3 also wins, so I'll go with Witcher 3 for my vote. 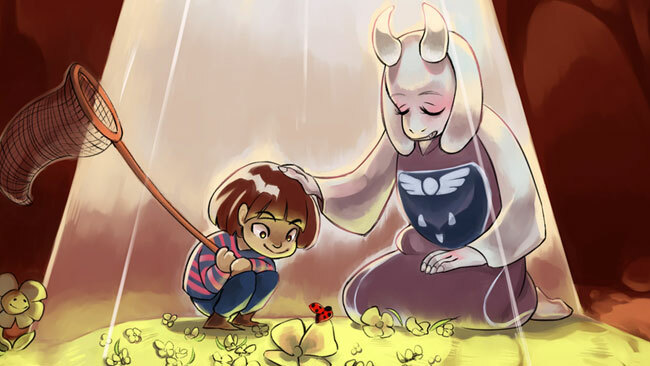 Undertale, the RPG created by just one man, was the indie darling of 2015. The 8-bit exterior hid a game that was truly impressive in its narrative and approach to combat. A great story that's ripe with humor and emotion rounds out an impressive package that finished second in our Reader's Choice voting. Here's what our community had to say about it. Personally for me, I had to go with Undertale. While every other game was fantastic in their own right, this one grabbed me by the heart and tugged constantly. Every choice you made matters, every action you took did change / impact something down the line of events. The characters are very likable, the plot is deeper than you'd expect, the gameplay is fun, puzzles aren't bullcrap, but the best part is the cliche's have a twist to them. You expect one thing, but somehow the game manages to surprise you very often. Undertale might be my favorite game of all time, so it gets my vote. I've never seen a game so intricately crafted and successful on every level. The world-building, writing, music, combat, and visuals are top notch, and considering that the "retro" aesthetic usually pisses me off to no end, that's saying quite a bit. Don't agree? We'd love to hear what your favorites from 2015 were. Hop in the forums and join the discussion! After all, everyone has their favorite games. That's a great way to close out 2015. We at The Escapist wish you all a fantastic New Year, and we can't wait to see what surprises 2016 has in store!